My name is Chris Burford and I am a professional full time entertainer. I offer a unique and Authentic disco from the eighties, no modern lighting and no laptop although that can be added for an additional fee. 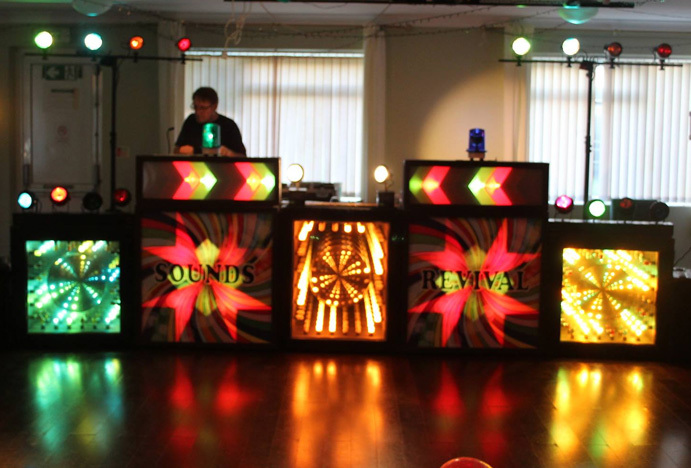 I pride myself on having one of the biggest eighties style discos in the South of England with an array of old school lighting screens which include 3 time tunnel lights to various pinspots and a Sound System specifically designed for the time. Offering you this Authentic Retro Disco is something I have lovingly put together over the past few years, Vinyl has made a big comeback recently, maybe because today's music has been watered down and easily forgettable while the 70s and 80s live long in the memory of people of a certain age. My record collection spans from the 1950s to 1989, I do carry a few 90s tunes and most of the vinyl has been in my care since I was 14, I still have the first single I ever bought, Roxy Music and 'All I want is You' I still have the first single I ever played at my first disco, 'Born to be Alive' by Patrick Hernandez when I was just 16 and I remember my first New Year's Eve disco too. 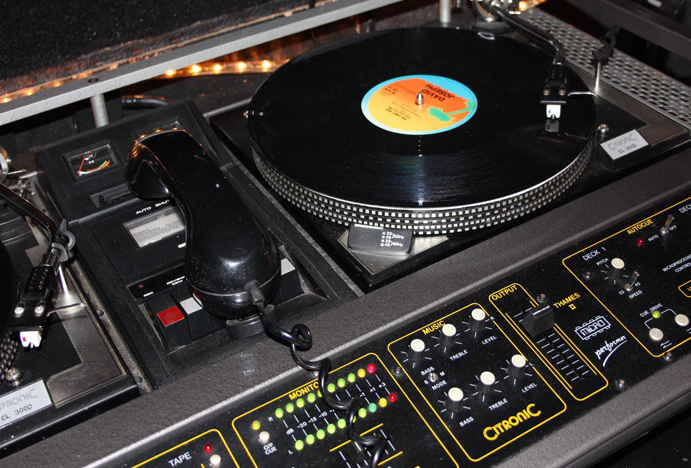 Why Book an Authentic Retro Disco when lots of DJs offer 80s music from a laptop? Two simple answers there and a good reason to book my show. Chris Burford you are awesome, my 50th Birthday Party at The Lion was such an amazing evening, everybody loved the music that you played. I never once sat down from 7pm to 12 my blisters are only just healing. 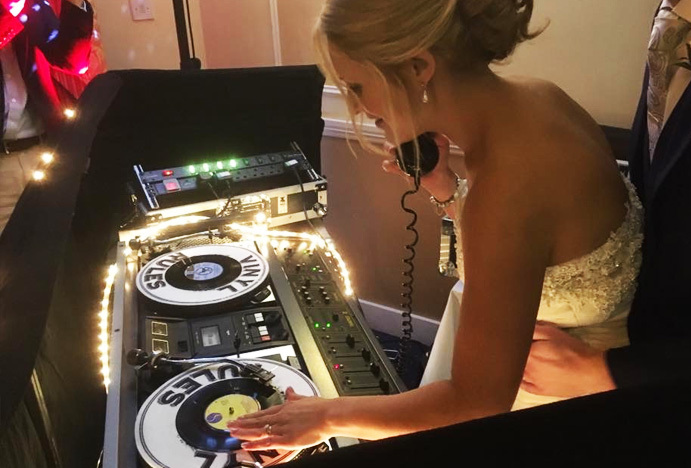 I am happy for you to pass my details on to any one that wants to contact me for feed back about you and your DJ/ Vinyl Retro Disco, with out you Chris Burford, my party would have been a disaster I am very sure of this. These memories I will take with me to the grave. Thank you and please keep on doing what you are so great at playing music to dance to. My wife and I celebrated our Golden Wedding Anniversary in November 2013, Chris provided music to our taste and hosted the event in a thoroughly professional manner enabling us to entertain our guests and spend the maximum time in their company. Chris went the extra mile by researching our wedding date in 1963 and providing music reminiscent of that era. Our guests, aged between 3 and 79 thoroughly enjoyed themselves with much of this success being down to Chris who kept the party going. I would strongly recommend Chris Burford to anyone who is planning a similar function. Thanks ever so much for providing the music for Margaret and Tim's Ruby Wedding celebrations. We really enjoyed the "retro" music and we've had lots of comments since the party saying the same thing. Thanks for all your help in making the event such a success.